Originally named the Louisiana Premier League in 2014, the league had to be rebranded two years later to the Gulf Coast Premier League because it had outgrown the state of Louisiana. Now the league operates in Louisiana, Alabama, Florida, Mississippi, and Texas. The GCPL originally came into my radar while covering Motagua’s run in this year’s USOC qualifying. 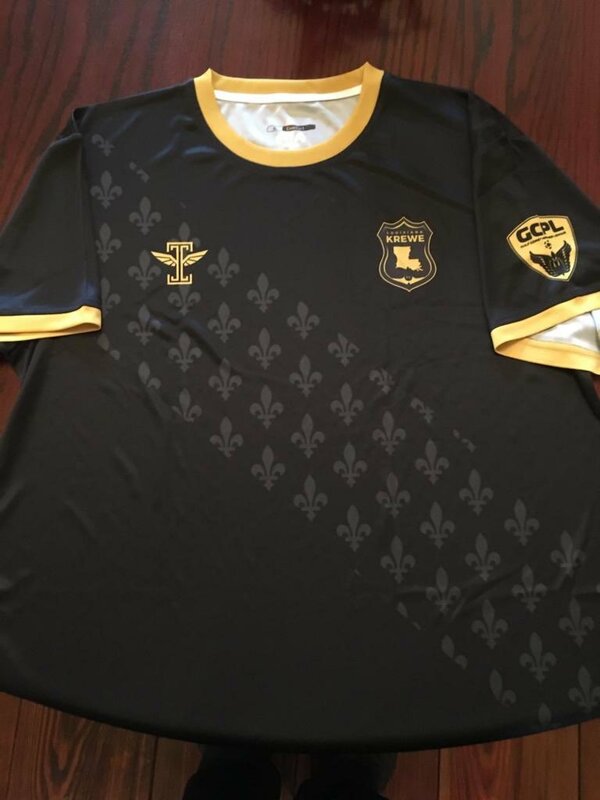 But recently I spotted a new kit in my twitter feed and found another GCPL club. Honestly, the first time I read the name Krewe FC, I thought someone had made a major spelling mistake. But because I’m a nerd, I decided to google it. Turns out it’s a real term for the team of people that operate a float for street festivals (you probably already are, but think Mardis Gras). So a club from Lafayette, Louisiana, the Cajun Capital, couldn’t be more appropriately named. Lafayette is somewhat isolated from other soccer clubs, so this year Krewe FC was formed to provide an outlet for the local soccer talent coming out of area high schools and academies. Often times, when we write an article on a kit, it’s a rebrand. The tired and old is pushed out for something slick and new. 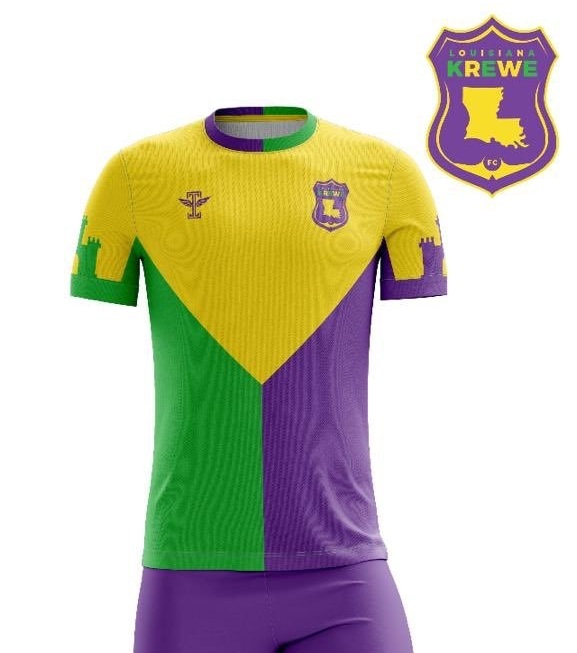 But today’s Uni-Formity is about a brand new kit, fresh and clean, the Icarus-designed away kit for Louisiana Krewe FC. Yes, before I go further, Icarus sponsors this column and is an advertiser on our site. They also make some of the most amazing kits in the lower league. 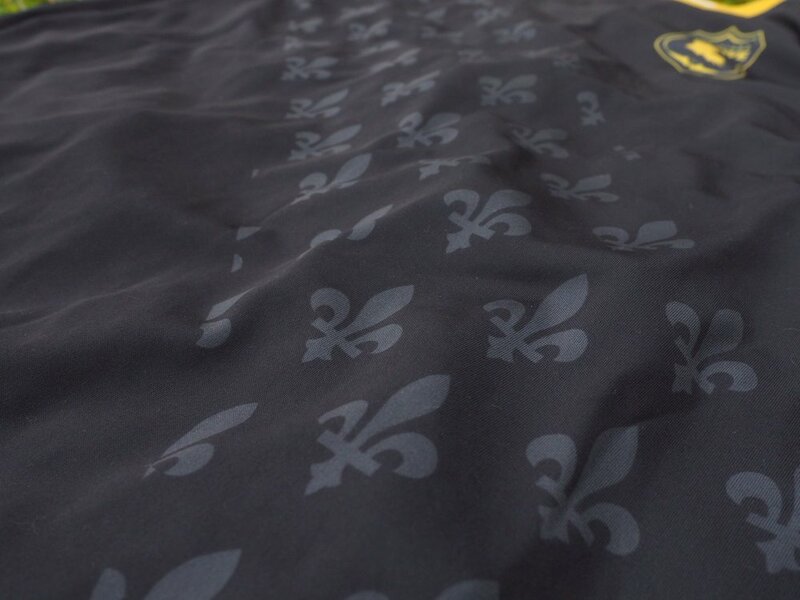 While the away kit is an absolute beauty, the home kit has yet to be revealed. The club plans on making that public in the near future, with public kit sales in early January. There are also plans in the works for a limited run of “Mardi Gras Edition” jersey in early 2019 (mock up of that kit below).